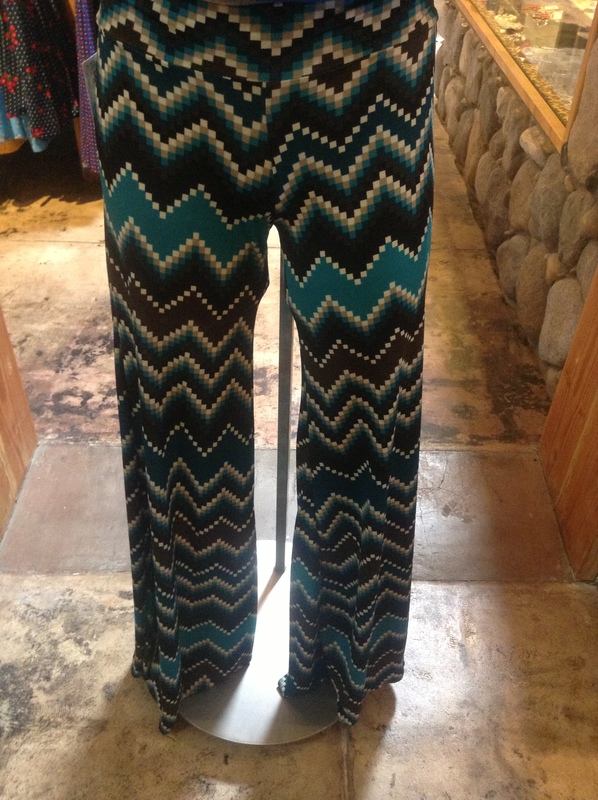 Palazzo pants are a “must have” for fall wardrobes. I love the fluid leg and the crazy prints that are offered this season. They’re the perfect combination of high-style and low- maintenance. 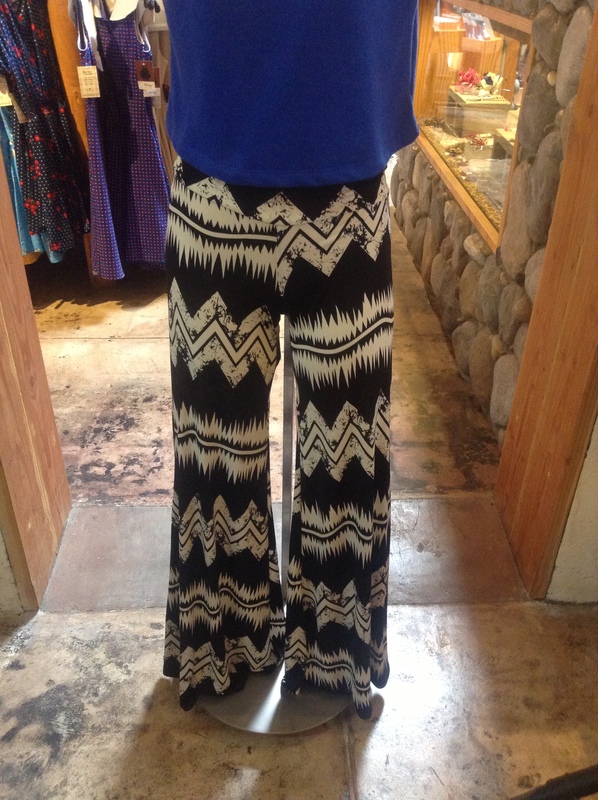 In the ’70s, Palazzo pants were part of daily styles. My mom had a closet full of them and jumpsuits too. I remember sitting on her bed as a little girl and staring into her magical closet of style. I couldn’t wait to grow up so I could wear all of her cool clothes. Isn’t it ironic how when you’re young, you want to be old and when you’re old you want to be young? The first picture is my mom and I on my 5th birthday. She always took her style so seriously, and she was a stay-at-home mom. No sweats or flip-flops for this lady! My brothers and I were always dressed to the nines. 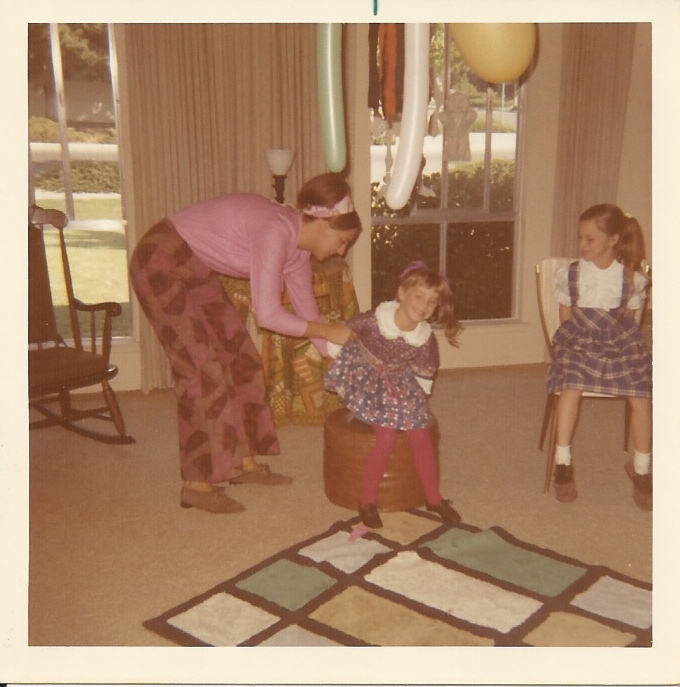 Look at her wide-legged pants and headband. I remember this day clearly because we were playing a silly game of who could sit on the balloon and pop it. Who plays that? Weird? Anyway, about the Palazzo pant– they’re back and they’re HOT!!! Look for stripes, paisley prints, geometrics and florals. Pair with a solid blouse or mix it up with a graphic T-shirt or a smaller patterned top. The last 3 pics are from my store, Roadkill Ranch & Boutique. 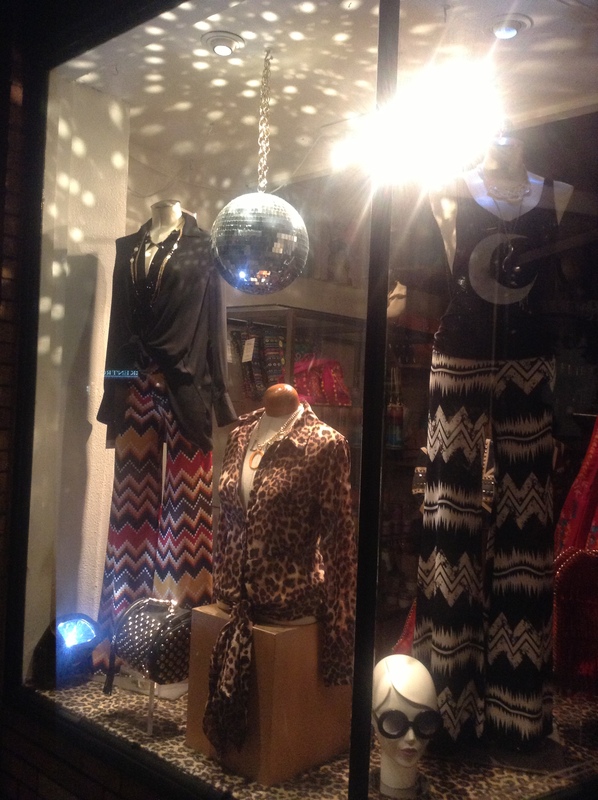 We got inspired to do a disco themed window with all of our new merchandise. Barb worked on styling, while I was busy trying to get a discount on disco balls at The Halloween Club. A few square mirrors were missing, so the owner and I got into quite the bargaining banter. Turned out to be a happy ending, he sold me some strobe lights at regular price and I got my discount on the balls. Now it’s time to get my groove on! I’ve been singing Mac Arthur Park by Donna Summer all morning, it epitomizes the era. I decided to share it with you as well (karaoke version of course). Shortly after this picture of me was taken, my parents divorced and my dad moved into an apartment complex in Santa Ana, Ca. called Mac Arthur Park. Whenever this song played on the radio back then, I always thought it was about my dad’s new place. Kids think the darnedest things. Hope everyone has an inspired day.